The science and research in support of yoga’s many positive benefits is becoming undeniable. Yoga has been proven to effectively treat many conditions, including physical rehabilitation, PTSD, anxiety, and depression. The National Center for Complementary and Integrative Health (NCCIH) even released a video on the Scientific Results of Yoga for Health and Well-Being. Additionally, in 2010, Medicare approved the Ornish Program for Heart Disease as a form of intensive cardiac rehab. The Ornish program teaches participants the importance of a meatless, plant-based diet, regular exercise, yoga, meditation, and social support. However, you’ll be hard-pressed to find health insurance that covers yoga as a treatment for any other condition other than heart disease, as it is still widely associated with fitness and appearance instead of an avenue towards healing. read it here!). But because YogaMedics therapy is used for rehabilitation purposes, there are still several ways to have your insurance company foot the bill. If you see a YogaMedics therapist directly, you may still have to pay out-of-pocket. However, the good news is YogaMedics therapy can be relatively inexpensive, and the benefits are certainly worth it! But if you can’t afford the expense, we’re happy to work with you. There’s a chance your health insurance may still cover YogaMedics therapy because of its proven clinical benefits. You’ll need to speak with your primary care doctor to obtain a diagnosis and referral. If you’re self-employed, and you have a Health Savings Account (HSA), it can be used to pay for YogaMedics therapy visits, and so can an employer-funded Health Reimbursement Arrangement (HRA). If you contribute part of your salary toward a Flexible Spending Arrangement (FSA), check with your HR department to see if YogaMedics therapy qualifies as a medical expense. Be sure to keep good records and document ALL your expenses. 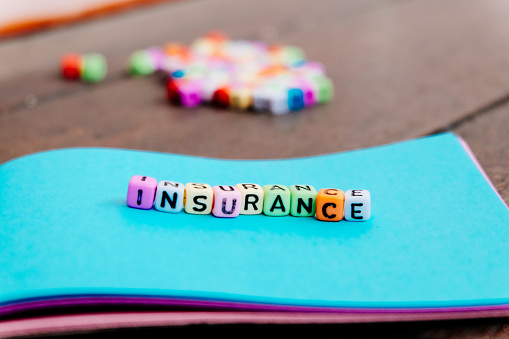 If you’ve been involved in an auto accident or are claiming workers compensation, auto accident insurance and workers compensation benefits cover YogaMedics therapy. Why? Auto injuries and workers’ injuries are multi-faceted. For example, during a car accident, you experience physical injuries as well as emotional injuries that accompany trauma (anxiety, depression, PTSD, etc.) YogaMedics therapy treats all aspects of injuries and treatment is measurable, results-driven, and cost-effective for insurance companies. It’s a win-win-win. If you’re a Veteran, we have good news: YogaMedics is contracted with the department of defense and currently works out of Detroit’s VA hospital. Our services are included in your existing benefits! Another option is to see a licensed medical professional who is YogaMedics contracted or certified. 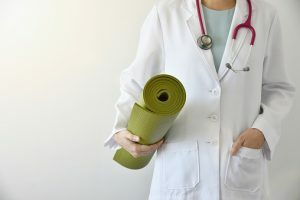 Caseworkers, physical therapists, psychologists, and nurse practitioners often seek YogaMedics therapy certification to expand their treatment options to clients. They are familiar with billing and insurance processes, you’ll only have to worry about any copays if they apply. If you have any further questions about how you can bill YogaMedics to insurance, we’re happy to answer any questions! Give us a call for your complimentary intake, and we’ll get you connected to the right healthcare professional for your needs!